The only way an artist can work is with a blank canvas. They may stare at that canvas for several hours before they become inspired to create their next “masterpiece.” But it all begins with a clear creative space. That’s the same kind of approach you might be taking with your holiday decorations. 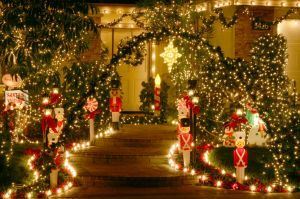 You probably have some traditional objects or lights that you like to string up. There might be some new additions this year that you’ll add to the mix. Either way, you’ll want to start with a “blank canvas.” That would be a home that is free of clutter. To help get you there all you need do is bring in the pros from Junk King Nashville. Junk King Nashville is part of a national chain of professional junk haulers. These are crews who have been clearing out clutter from homes and businesses since 2005. This means they perfected a business model that takes all the stress out of junk removal. That stress begins with the process begins with your initial phone call to Junk King Nashville to set up your appointment. You could also opt to schedule your appointment online, which makes things even easier and scores you a $30 discount! You’ll be asked to pick a specific day and two-hour window within that day that works best for your schedule. That is the time the Junk King crew will dedicate to your junk removal task. It probably won’t take up the all two hours but it’s nice to know you’ll have that schedule open. When the Junk King crew arrives at your home, you’re going to take them on a tour of all your junk. Remember, you’re going to have a two-man crew working for you. That means you don’t have to bring anything out of the house or even up the stairs. Just leave it all for the crew. Once they’ve sized up all your stuff they’ll present you with an estimate based upon how tightly they’ll pack everything onto the truck. This is an extremely fair approach for this type of work and you’ll find it to be surprisingly affordable. The sooner you hire Junk King Nashville to clear out the clutter the sooner you can get your home ready for the holidays. This entry was posted in junk removal and tagged decorations, holiday, junk king, junk removal on November 23, 2016 by Robert Hatcher. Last updated August 16, 2017 .